Have you ever gone to bed hoping to dream of a secret place full of beautiful and unreal sights only nature could create? I think I’m one of the luckiest people in the world because I’ve been living that dream over and over for more years. My secret place is actually not so secret for people from my country, but it is a natural wonder yet to be discovered for many foreigners. 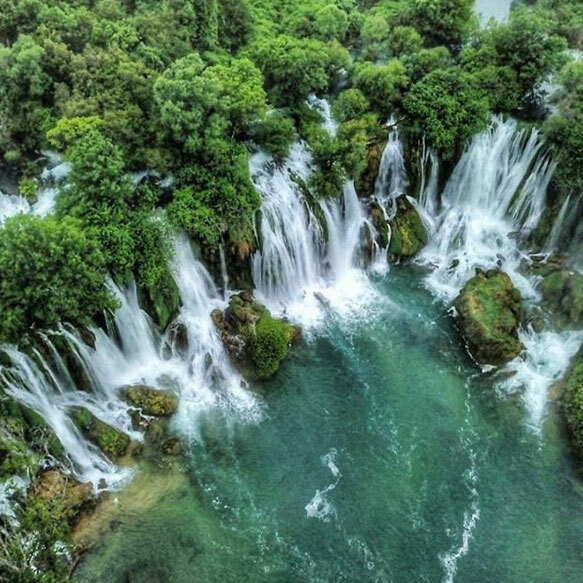 It is called Kravice Waterfalls and it’s located in the central part of Bosnia and Herzegovina, close to the border with Croatia. 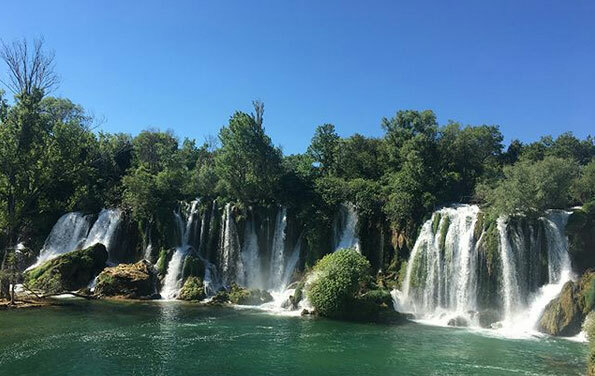 Kravice Waterfalls is a great place to boost your energy before starting a new week, or simply a place to enjoy and celebrate nature with your family and friends. 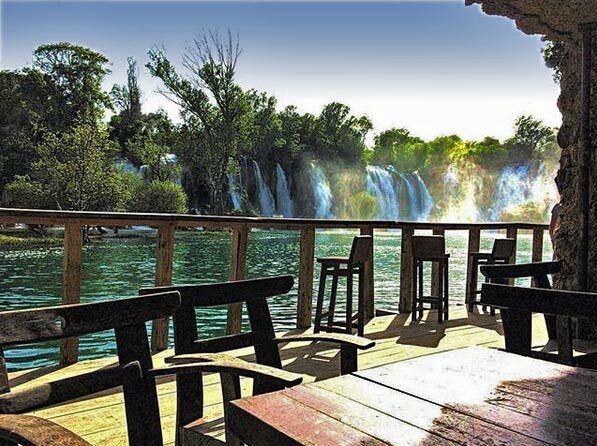 Summer is the ideal time to visit and the falls’ popularity with tourists is rapidly growing from year to year. 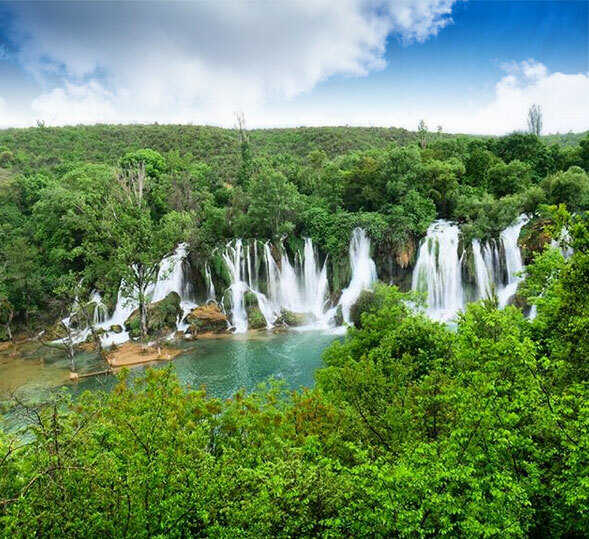 The Kravice Falls in Bosnia and Herzegovina are one of Europe’s best-kept natural secrets. 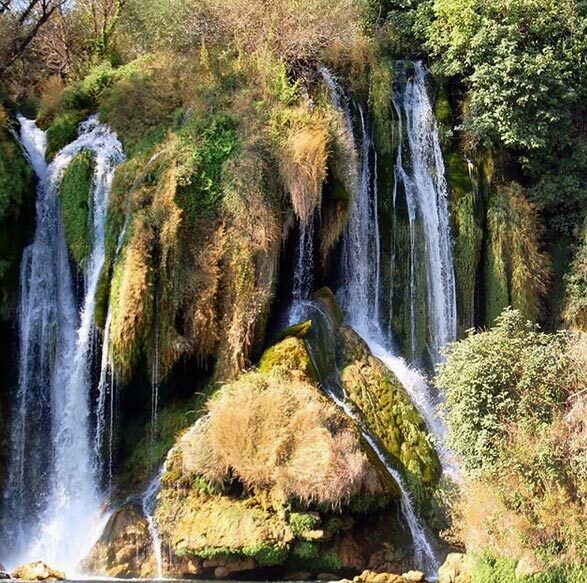 Spilling over soft tufa cliffs and falling more than 30 metres into the lake below, the falls are located on the Trebizat River southwest of Mostar. When we visit, my husband and I will usually arrange a weekend full of activities. We pack our bags with healthy snacks and go there by bike. 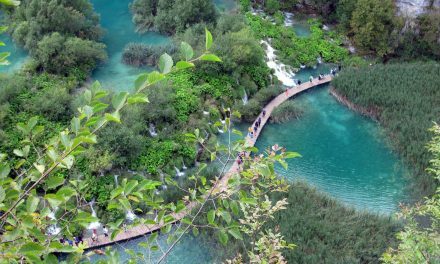 On arriving, we have a cool drink at a bar near Kravice, and then our active weekend can officially start! 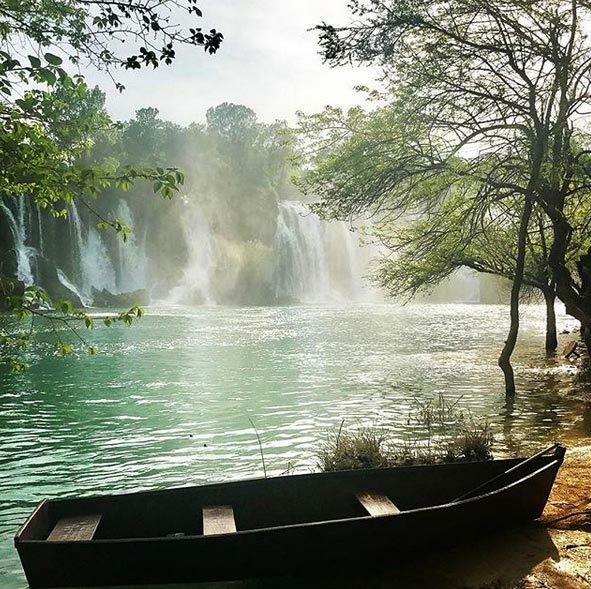 The best way to feel the power of all these beautiful waterfalls is to rent a canoe and try getting as close as you dare to the thundering water. 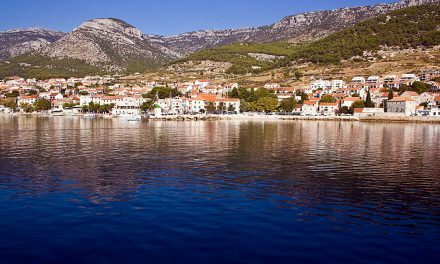 The water can be really cold but if you are an adventurous spirit like me, you won’t mind jumping in and taking a swim. Another great thing about this phenomenal place is sport climbing. You’ll need to be well prepared but it is totally worth it to see how the waterfalls have carved their way through the rocks and created the formations around you. Who wouldn’t relax with soothing scenes like this? Sometimes, instead of active weekends, we just hang out for the day. 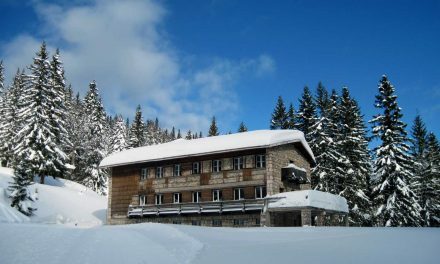 The views are really relaxing and there is a great rustic restaurant near the waterfalls that serves a lot of tasty food. I would definitely recommend ćevapčići – a traditional Bosnian meal that you can linger over if you’re just relaxing or wolf down if you’ve been swimming, canoeing and maybe even jumping off the cliffs into the water. 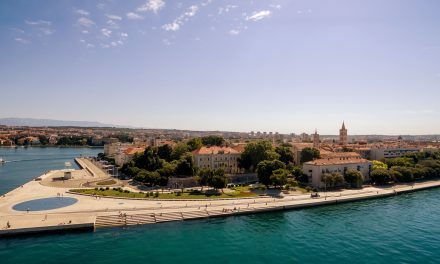 Hello, my name is Hana and I am a designer from a small town in Bosnia and Herzegovina. I like adrenalin sports combined with beautiful nature, especially canoeing. My favourite hobby is hiking. I also like writing poems in my free time.